Sometimes we get lucky and see wildlife in the Cherry Creek Pollinator Habitat. Today it was a gray tree frog. 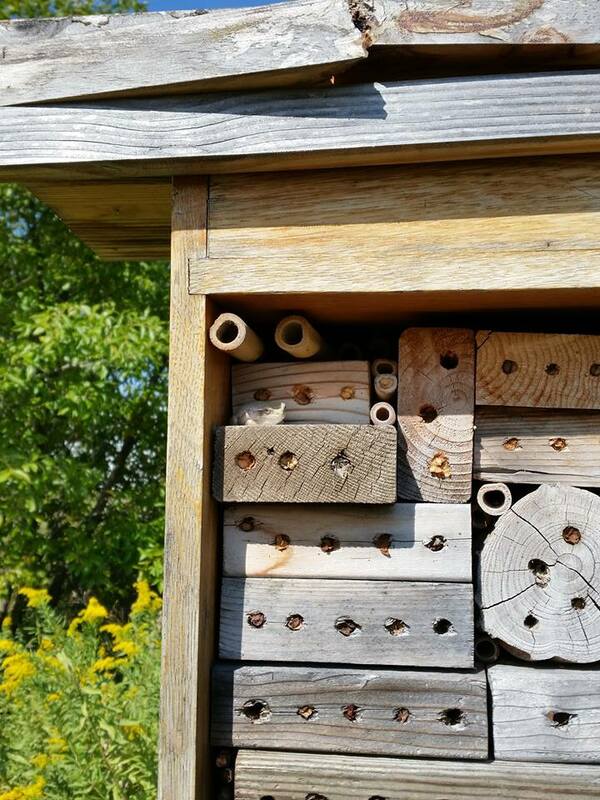 The bee house is not just for solitary bees after all. Can you see the tree frog? 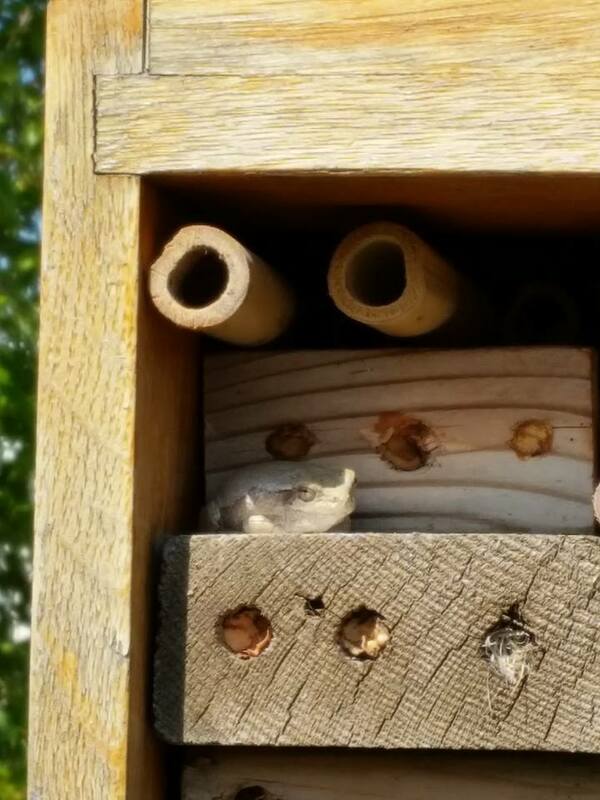 Tree frog resting in the solitary bee house. Asters are one of my favorite flowers. Smooth aster, Aster laevis, is blooming now in the Cherry Creek Pollinator Habitat. 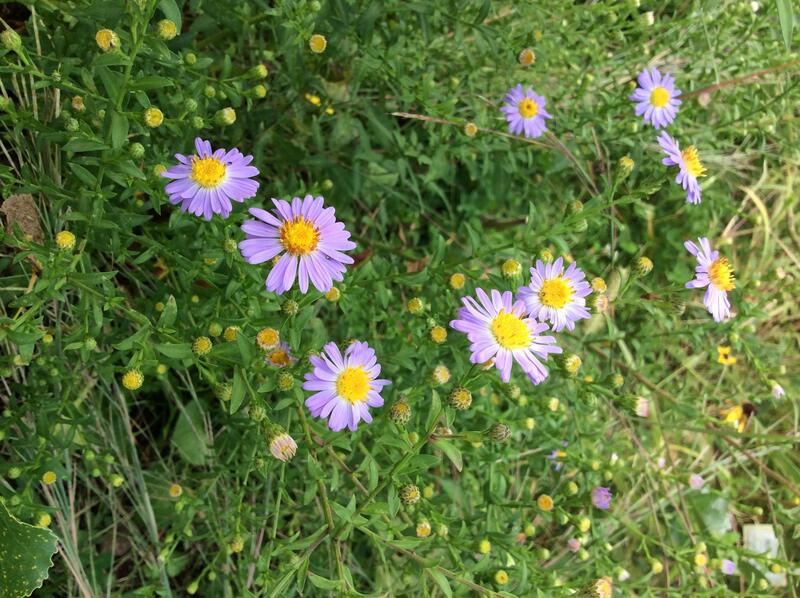 This native aster produces an abundance of lavender-blue flowers through late autumn. Smooth Aster is upright with arching branches and reaches 3 feet tall. It easily grows in dry to medium, well-drained soil in full sun. Asters are a must for your perennial garden. All bees, bumble bees and butterflies flock to asters. 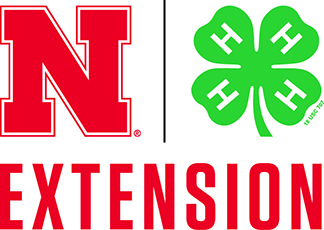 They are an excellent stopover plant for migrating Monarchs.